Top 14 runaway leaders Toulouse saw their unbeaten league run end at 14 games courtesy of a 25-10 loss to Toulon on Saturday, who played most of the second half with 14 men. It was an unfortunate taste of their own medicine – with Toulouse pulling off a famous win over Racing 92 in their Champions Cup quarter final a week previous, picking up an early red card themselves en route to victory. 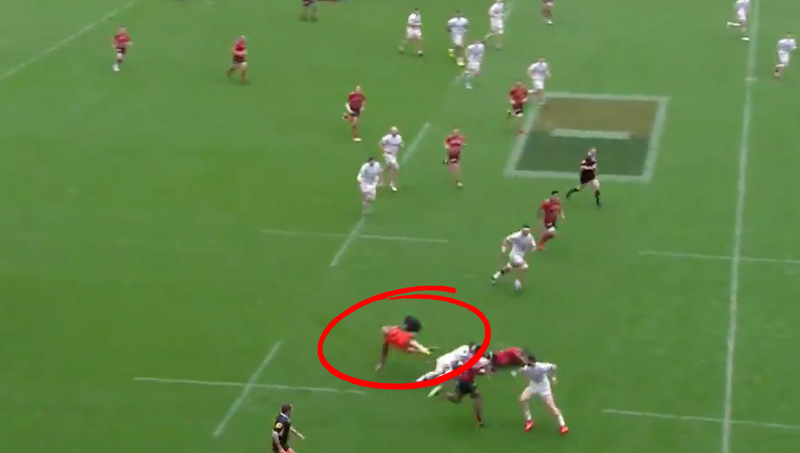 But the moment of the match came when a poor unsuspecting medic got completely taken out in the build-up to Toulon’s second try. Check it out below. We can’t stop watching it. Hilarious.